The department estimated in 2005 that more than 8,000 water meters needed repair and many accounts were delinquent and disputed because bills were based on estimated water use. The city entered into a contract with K&V Automation, LLC on July 25, 2006 to replace or retrofit the city’s existing water meter population and install a radio-based automated reading system. 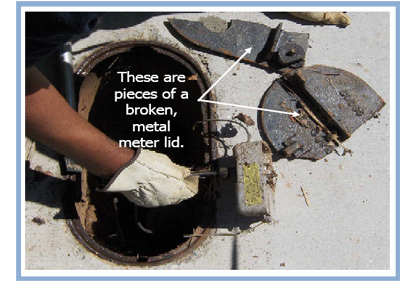 The $35 million contract was for 36 months, which ended in July 2009.
meter interface units that were not tied to the meter lids. 13% of the sampled meters; 9% of those reads could not be verified due to broken or malfunctioning equipment. The department lacks the resources to handle the needed site repairs, some of which may impede the progress of current AMR installations and may result in higher project costs.